This wonderful house is one in a million. Unique, stylish, and contemporary. 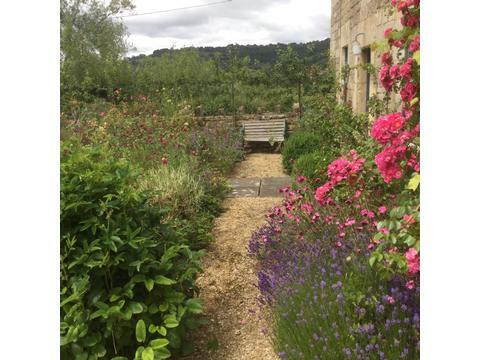 Down a tiny country lane in a peaceful rural valley, the farmhouse is in a georgous location only 10 minutes drive from central Bath. 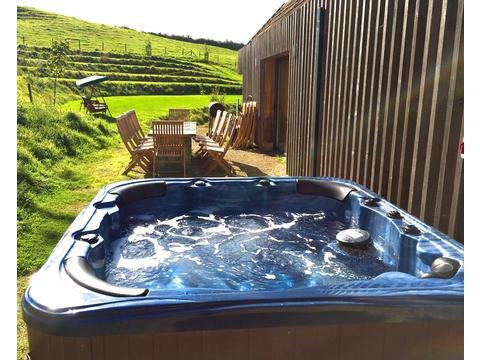 Sleeps 16 people in 6 bedrooms. This wonderful house is one in a million. Featured in House and Garden magazine. Unique, stylish, and contemporary. 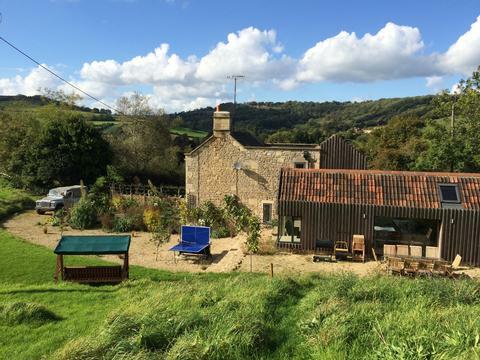 Down a tiny country lane in a peaceful rural valley, the farmhouse is in georgous location only 10 minutes drive from central Bath. Inside there is a stunning kitchen dining room. With polished concrete floors and underfloor heating it is both practical and comfortable. 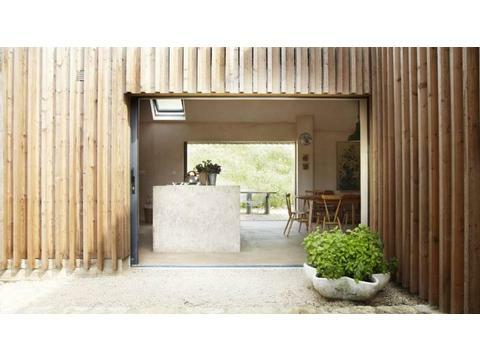 Sit on the cushion laden concrete benches and admire the garden through the seamless corner window. The dining table seats 16 in comfort, and the huge sliding doors disappear into a secret pocket in the wall opening the room on both sides to the countryside. Behind the kitchen is the large utility room with washing machine. 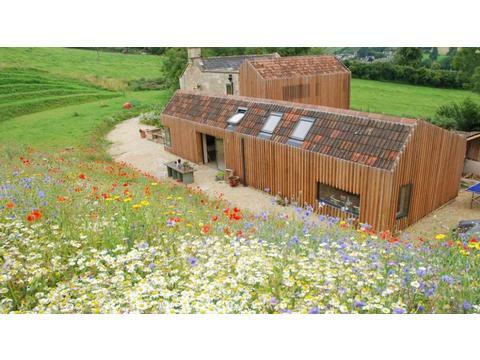 The master suite is on the ground floor, and is equipped with plenty of wardrobe space and the amazing double ended bath beside the window overlooking the wildflower meadow. The suite has an ensuite wet room with washbasin and W.C.
Up the open plan staircase and you will find the family bathroom, with bath, shower over, wc and washbasin. Outside there is the most beautiful garden designed and maintained by a top garden designer. It is arranged in various areas. The property has outdoor table tennis. 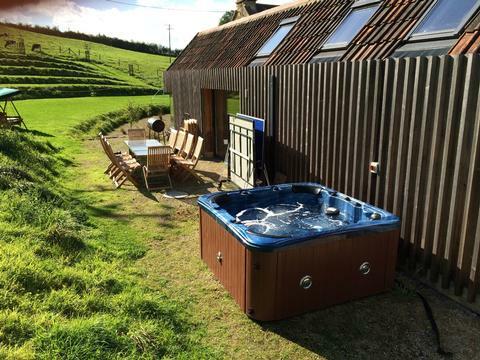 The house has a large hot tub. 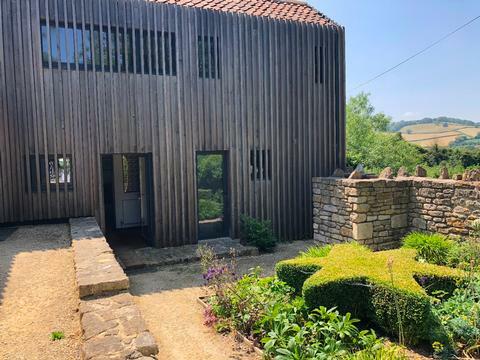 in a peaceful edge of village location with no other houses in sight, yet 10 minutes to the centre of Bath with all its wonderful historic sites, shops, museums, nightlife, restaurants and culture. Contact Sarah Campos for Enquiries and Availability.